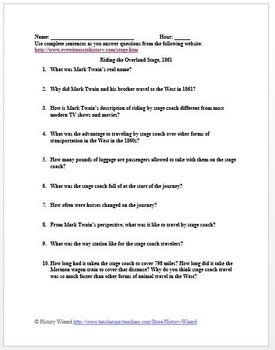 This worksheet allows students to use a primary source document to learn about Westward Expansion and stage coach travel from the perspective of Mark Twain (Samuel Clemens). 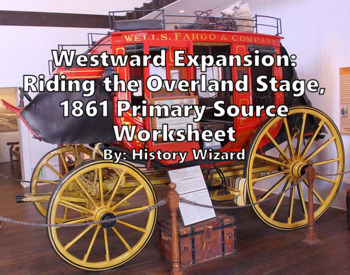 The primary source document is labeled (Riding the Overland Stage, 1861). 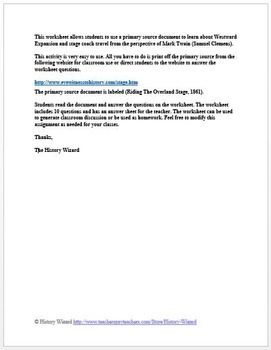 Please take a look at some of my other Westward Expansion lesson plans. 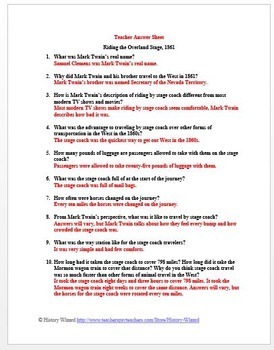 California Gold Rush Webquest: What did it really cost?